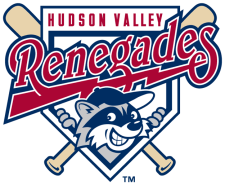 The Hudson Valley Renegades had a great week, only losing one game during the week and improving to 21-20 on the season. The Renegades are in second place in the division, but trail the leader by 7 1/2 games. Transactions: Matt Stabelfeld added to roster from Bowling Green (8/1/10). Kyle Holloway added to roster from Princeton (8/2/10). The Week Ahead: 8/3/10: vs Brooklyn Cyclones (30-14). 8/4/10-8/6/10: at Connecticut Tigers (23-20). 8/7/10-8/9/10: vs Jamestown Jammers (25-18).